Here we lists out some points that you should keep in mind before you start using the credit card. The convenience of a credit card is that you can spend more than you have which could result in your financial downfall. You won't face this problem in the case of cash as you can spend only what you have. So, if you are a beginner to use a credit card, keep a monthly limit for your expenses, which should be about half of your official credit limit. A good way to track your spending is to register your phone number with the credit card account, so that whenever you swipe the card, you will receive an alert on your mobile phone, informing you of the amount you have spent and the balance in your card. When the bank offers you a card, it will set a credit limit based on your income. You may be tempted to increase this limit to do more expensive purchases. 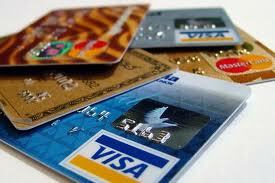 However, avoid doing so for a year, or at least till you are more confident about how to use your card. The bank may be willing to raise the limit, but you still have to pay the bill from your own pocket. Each month, you will receive a bill, telling you how much you have spent in a month using your card and the date by which you will have to pay the amount. Ensure that you pay the entire sum on time or you will be charged a late fee. You should preferably do so through Net banking as you will be charged if you pay through cash at the bank. If you write a cheque, do it before the due date since it will require a few days to be processed. You may be tempted to pay only the minimum amount that is due and roll over the balance to the next month. The amount that is rolled over is charged a high interest rate, typically 1.5-3.5% a month, which will clearly inflate your bill for the next month. Also too many rollovers will be a black mark on your credit report, and a low credit score will make it difficult for you to get a loan from a bank. Don't provide your credit card information to anybody, especially the CVV number behind the card. Also, don't let anybody use the card as you are responsible for all the charges. When you give your card to be swiped, make sure the salesperson does so properly and that there is no chance of skimming, that is, your card information being stored somewhere else. While using the card for an online payment, ensure that it is a trusted website. Keep track of your usage through charge slips and compare records when you receive the statement. Don't use your credit card to withdraw cash from a bank or an ATM. The money that you withdraw is considered a cash advance and you will have to pay a very high interest rate, typically from 1.5-3.5%. The interest will begin to grow immediately and accumulate till you repay the full amount. Besides, you will be charged a one-time transaction fee, which could be as high as 3% of the advance. So opt this route only in case of an emergency. 0 Response to "Do's and Don'ts while using credit cards"